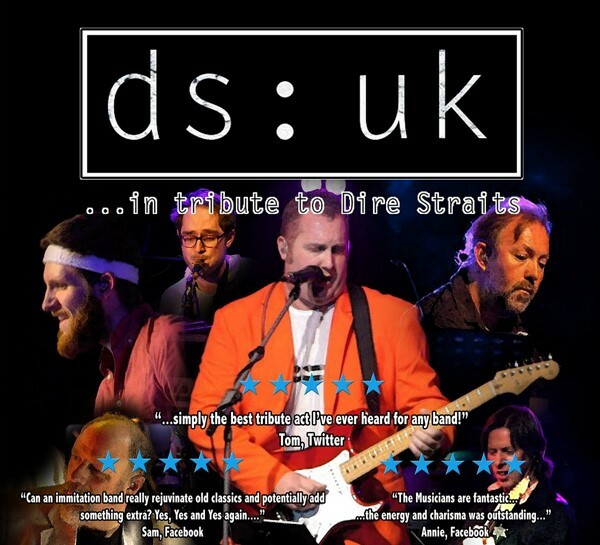 DS:UK bring the experience of one of Dire Straits’ most iconic concerts and albums to Trading Boundaries for two nights! ‘Alchemy’ was the first big LIVE album, recorded at the Hammersmith Odeon in July of 1983 during the last two shows of the ‘Love Over Gold’ tour. The tour included selected hits from their albums to date including Tunnel of Love, Romeo and Juliet and Private Investigations and also featured many other fan favourite songs that didn’t make it onto the Live ‘Alchemy’ Album itself. The band will also include popular tracks from later years too!